This is one to add to your collection! The Philo crest is embroidered onto this very feminine striped polo. 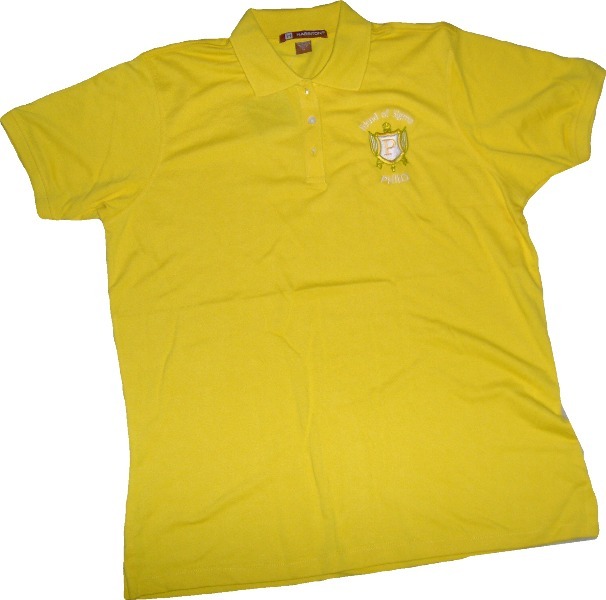 "Frends of Sigma" and "Philo" are embroidered around crest. Add a custom line of lettering to make it truly yours. The shirt has side slits for that extra comfy feel. * Gold Shirt color shown.